A QA system supports continuous improvement, reliable data sets and the very best in business practices for those in the cannabis industry and at cannabis testing labs. Amy Ankrum is the President & CEO of Qualtrax, a comprehensive compliance software solution. Amy and her team are most happy when challenging the status quo and helping better our world in the process. Amy has led Qualtrax since 2011, with a focus on creating an organization that embraces a results-oriented approach to culture to drive continuous improvement and boasts 95%+ customer retention rates. 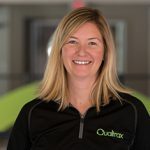 Amy is a graduate of Virginia Tech and proud to be growing the Qualtrax business in Blacksburg, VA.